Confession time everyone, I don’t have homeowner’s insurance-collective gasp. I currently don’t have a house either, just an apartment, but when I start looking you know whom I’ll be going to-Crawford-Willis Group duhhh. I’m a person in their late twenties who needs to get on the ball and start “adulting” as the teens and tweens call it. But seriously though, this is an important issue and it’s time I really got down to business and talk about homeowner’s insurance. Please bare with me because I’m new to the topic as well, I foresee a future blog where I go further into detail about this subject. But for now, I’m just going to tell you why you need it as well as give you some people and places to check out! I figured this blog would be appropriate since the Alabama coast has recently had some reconstruction done to it thanks to hurricane Michael-but really, no thanks at all. What exactly IS homeowner’s insurance? 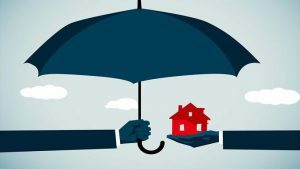 Well, homeowners insurance is a form of property insurance that covers the losses and the damages to an individual’s house and the assets in said home. It also provides liability coverage against accidents in the home or on the property. I’ve talked to one of our fabulous vendors, Ashley Pugh with Prewett Insurance Group, about what new or current homeowners should be aware of when looking for homeowner’s insurance. She mentions that you want to make sure everything is protected, that there are more insurance options then just home and auto, so it’s important to look for a specialized team because there are different aspects to insurance. For example, since hurricane Michael decided to rock the costal line of Alabama, Pugh mentions that you want to make sure you have a full replacement cost home policy with wind/hail and tropical cyclone coverage. This option is available at Prewett Insurance Group and all the client is responsible for is their deductible and then they-the insurance group-pays the rest if the client were to have damage or total loss from a hurricane or storm. Sounds like a pretty good deal to me! Another good place to check out is our good friend John Killmaster over at State Farm; he can get the ball rolling by helping you with all your insurance questions or needs. The Crawford-Willis Group takes pride in creating long lasting friendships with all types of companies that are related to the real estate business in some way, so it’s a given that if you go through us, we can refer you to your next step! Previously speaking of deductibles and costs, it’s important to know what you’re looking at when it comes to all these different types of insurance groups and what their deductible is. It’s perfectly acceptable to shop around and get quotes from everyone, that way you can see what works best for you and your family during this time. Once you figure out what insurance works best, you’re all set! And don’t be afraid to review your coverage every year, it’s just like updating or cleaning your appliances. This way, if additions need to be made to your policy you can talk to your homeowners insurance agent and additions-or corrections-can be made! Stay tuned for this weeks new blogs! I love what you said about homeowner insurance and how it provides liability coverage in the event of an accident. Home insurance is vital in order to protect the value of your belongings and your home itself. If I were to buy a new home, I would make sure to contact an insurance company that could give me the coverage I need.